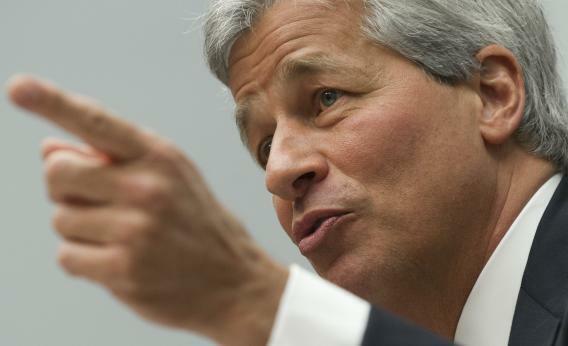 Dimon double gives Congress wasteful distraction. Politicians from both chambers of Congress spent four hours over the past week publicly grilling JPMorgan boss Jamie Dimon. America’s federal lawmakers need to get their priorities in order. Politicians from both chambers of Congress spent four hours over the past week publicly grilling JPMorgan boss Jamie Dimon. But they have far more pressing work to do. Sure, Congress has a crucial role to play in ensuring the country’s banks are well supervised. And JPMorgan’s $2 billion-plus portfolio hedging loss does raise questions about risk management, the Volcker Rule and whether mega-banks like JPMorgan remain too big to fail. But the bank’s Chief Investment Office debacle has not put the firm in danger - let alone trigger any emergency assistance from taxpayers. Even if the loss took a $3 billion chunk out of JPMorgan’s net income, that would still leave it cranking out more than $15 billion this year. And it has had no effect on liquidity or capital. That makes it primarily an issue for regulators and the bank’s shareholders, who have seen $20 billion in value wiped off the firm’s stock since the loss was announced in early May. But lawmakers could not resist indulging in some good old politicking. Representative Barney Frank, among others, tried pushing Dimon to admit that regulators need the funding that the Republicans want to cut. Fellow Democrat Representative Maxine Waters characteristically muddled matters, asking whether a “drop in share value affected shareholders in the U.S.” - and whether the trades were put on in London to avoid U.S. watchdogs, even though the office is overseen by American regulators. GOP members took the opposite track, as Representative Jeb Hensarling tried to cajole Dimon into supporting regular bankruptcy for financial firms over the government’s new non-bank liquidation authority. Others stressed that the 2010 Dodd-Frank Act wouldn’t have prevented the loss. But the showmanship is just wasteful distraction. Congress has serious fiscal issues to deal with, including a looming $600 billion fiscal cliff as well as weak job and GDP growth. The potential harm from not addressing that surely vastly outweighs using Dimon as an excuse for grandstanding. A government sliding toward another potential economic crisis should worry more about its balance sheet than JPMorgan’s income statement.